10+ Luu Meng: Living Cambodian CuisineBy: Adam FogartyPosted: August-07-2009in CambodiaTen Plus The ongoing rise of Cambodia’s tourism sector is well documented. Private sector statistics quote an increase of around 14 percent since last year, whilst the Ministry of Tourism say Cambodia is on track to attract 2.3 million visitors this year, adding that political stability and infrastructure improvements are increasing the number of visitors to the country. Some $1.64 billion in tourism revenue is expected to be generated by the end of 2008, helping the country’s economy to enjoy near double-digit growth. This sustained and aggressive growth is being spurred on by an unprecedented boom in the construction and property sectors. At the forefront of this growth is 36 year old Luu Meng, the public face of Phnom Penh-based Topazco and Manco Investment Groups, and one of Cambodia’s most recognized hotel entrepreneurs. Cooking Up Cambodia’s First Chef School by Janelle Retka | December 20, 2016|អានជាភាសាខ្មែរ San Sreyleak was taught how to cook by her mother in a cramped, makeshift kitchen boiling well water over a handmade fire in their hometown in Pursat province. She can easily fry up pad thai or beef lok lak, and recently worked in Thailand for a year as a street noodle vendor. But the aspiring chef has dreamed of learning to cook international cuisines with proper appliances in a professional kitchen and eventually opening her own small restaurant. Staff at the Academy of Culinary Arts Cambodia bake cookies in the campus’ kitchen late last month, in a photograph posted to the institute’s Facebook page.“I don’t know how to make some food, but my future is cooking,” she said. Sihanoukville Seeks Chinese Appeal as Airport Expands by Aisha Down | December 27, 2016 Construction of a new terminal at Sihanoukville’s international airport amid increasing traffic—quickly approaching 500,000 passengers a year—could help the seaside city ride a wave of increasing Asian visitors, particularly from China, tourism officials said. There are already near-daily flights to Sihanoukville from Tianjin, a city south of Beijing, said Eric Delobel, CEO of Cambodia Airports. 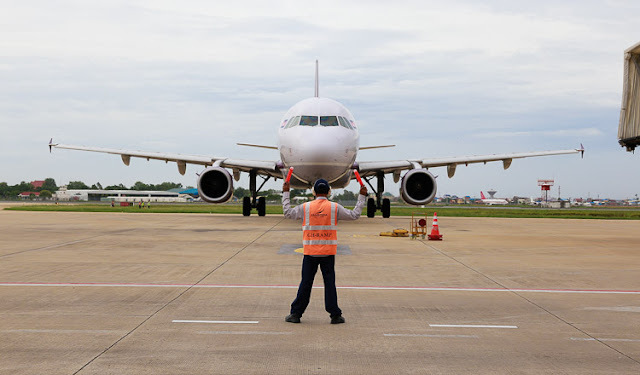 The airport’s current runways can handle medium-range aircraft —putting it in reach of multiple destinations within a five-hour flight radius, including many in China. Cambodia’s third annual River Festival will be held near the Laos-Cambodia border this year, with the Tourism Ministry organizing a wider tour through the two countries to coincide with the event, the ministry announced on Tuesday. Chea Bora, a secretary of state at the ministry, said the festival would be held from March 24 to 26, and a four-province tour—through Laos’ Champasak and Cambodia’s Stung Treng, Preah Vihear and Siem Reap—would be made available together with private agencies. The annual festival is held in a different province each year and has included art performances, exhibitions and vendors selling local handicrafts. Mr. Bora called on locals to open their homes to visitors to meet the anticipated demand. Taiwan Eateries Look to Bite Into Cambodia’s Food Scene Businesses from one of Taiwan’s better known street-food scenes—Yongkang Street in Taipei—are eyeing Cambodia as a gateway to enter Southeast Asia. The Taipei Dongmen Yongkang Business Circle Development Association plans to send representatives to Cambodia in October for market research, according to a report on Monday in the Taipei Times. This is the association’s first attempt to extend its reach overseas, Liu Hung-hsiang, the head of the association, told the Times. If the research goes well, “the businesses are expected to make use of their expertise in the nation as soon as next year,” Mr. Hung-hsiang said. The Yongkang Street scene is known for restaurants such as Din Tai Fung, a well-known steamed dumpling restaurant, whose Hong Kong branch was awarded a Michelin star in the Hong Kong and Macau 2010 edition of the Michelin Guide. 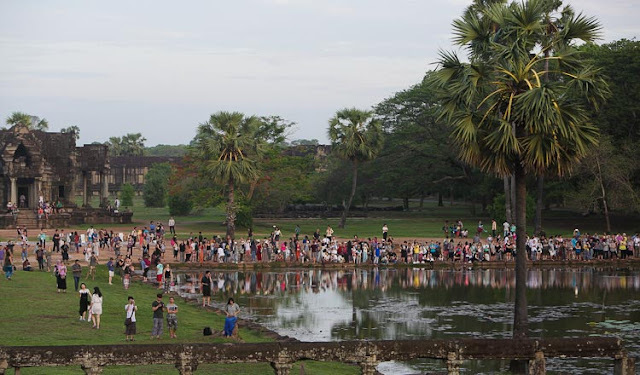 Angkor Wat ticket sales revenue surged during the first half of 2017 on the back of a sharp increase in tourist entry fees, with no indication that the steeper admission prices had discouraged visits to the Kingdom’s top tourist draw, government officials said yesterday. Ticket sales for Angkor Wat Archaeological Park generated $52.2 million during the first six months of the year, compared to $31 million during the first half of 2016, according to data released by Angkor Enterprise, the agency that manages ticketing for the historic temple complex near Siem Reap. The data showed a total of 1.2 million foreign tourists visited the site between January and June, about 13 percent more than during the same six-month period in 2016. With hundreds of local and foreign businesses showcasing their best products and services to throngs of local and international tourists, industry insiders expect the Cambodia Travel Mart – which will take place this weekend – to be a significant milestone in pushing forward the country’s tourism sector. Ruili Airlines, a Chinese low-cost airline based in Southwestern China’s Yunnan province, will start operating from Phnom Penh International Airport by the end of the year, with other Chinese and Malaysian air carriers following on its footsteps and starting to fly to the kingdom by the start of 2018. 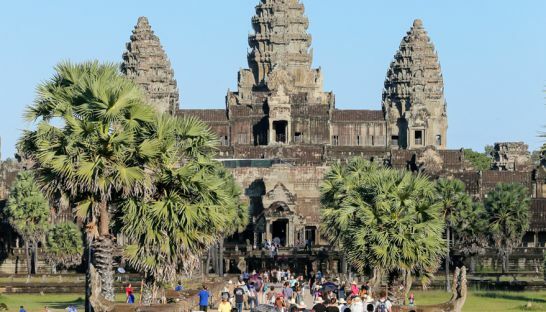 Amid government efforts to increase the number of Chinese tourists to the country, more Chinese airlines are showing an interest in the Cambodian market, adding new routes to their fights connecting the East Asian giant to the kingdom. Sichuan Airlines and Shenzhen Airlines are expected to start flying to Cambodia by the beginning of next year, while Malindo Air, a Malaysia-based budget airline, will join the market around the same time, according to Nuno Costa, marketing and sales director for Cambodia Airports, the company that manages the country’s three international airports.